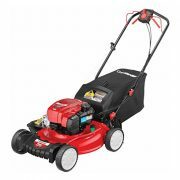 The RM220 Pathfinder gas powered self-propelled, front wheel drive lawn mower features a powerful 159cc engine with a electric start – that means no cord pulling. 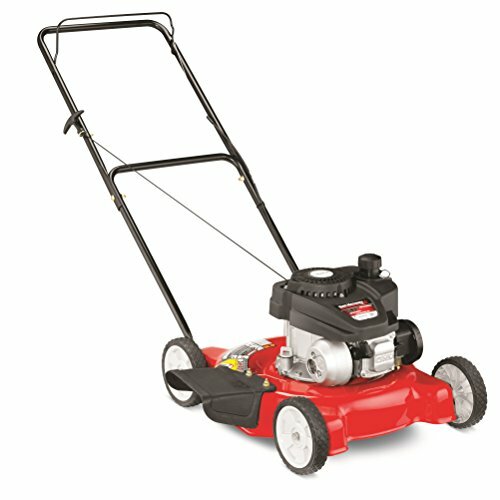 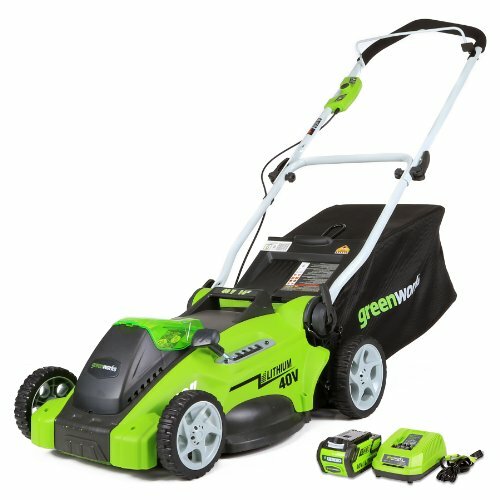 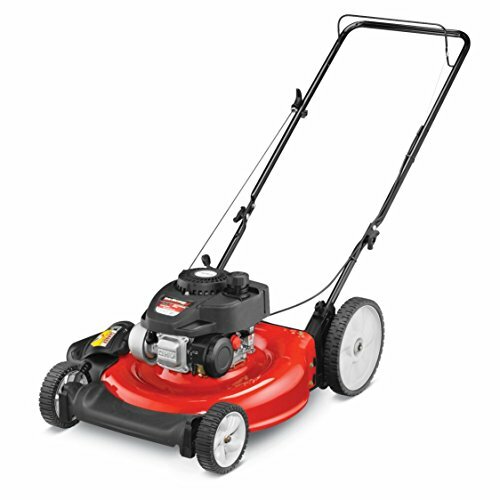 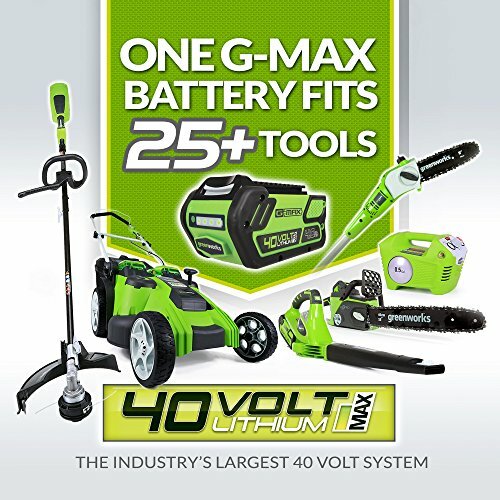 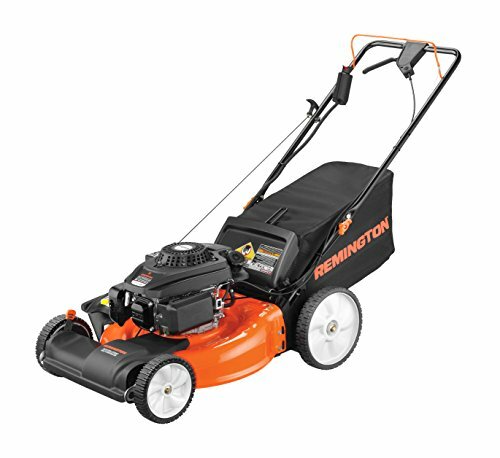 The 21-inch cutting deck make quick work of any sized lawn. 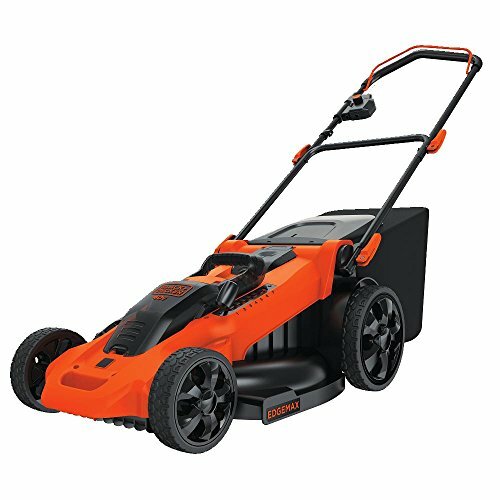 With 3-in-1 discharge capabilities and our innovative SureCut blade system, you can mulch, bag and discharge without messy clumps (rear bag included). 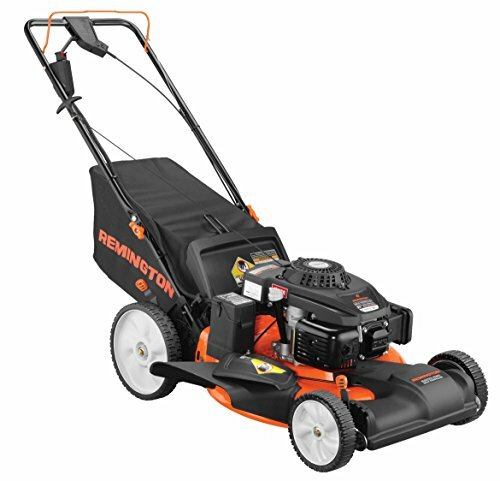 Dual-lever, 6 height position adjusters let you set the perfect cutting height with simple motions. 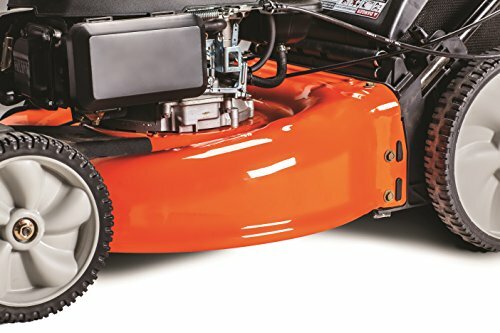 The 8-inch front wheel and 11-inch rear wheels ensure strong performance on any terrain. 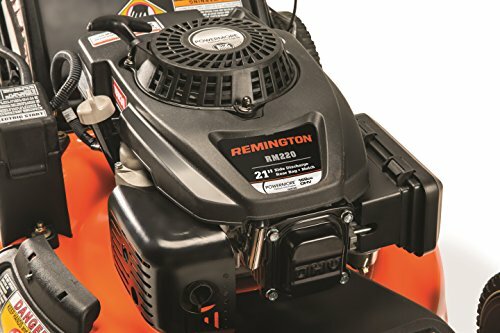 The Remington RM220 Trail Blazer is backed by a 2-year limited warranty.